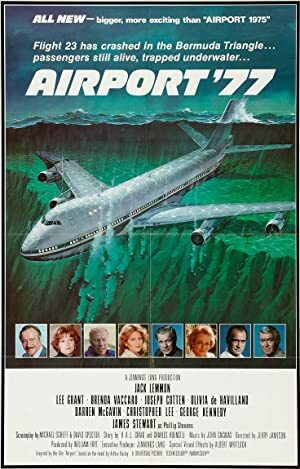 Airport ’77 (1977) – What's New on Netflix Canada Today! Mr. Phillip Stevens is flying in a load of VIPs to the grand opening of his art collection when a trio of hijackers knock out the passengers with gas and try to steal the priceless cargo of art treasures. But everything goes wrong for the hijackers when the 747 crashes in the Bermuda triangle. While the passengers remain alive in the shallow water a daring rescue operation is planned to bring the plane up without breaking it in two.